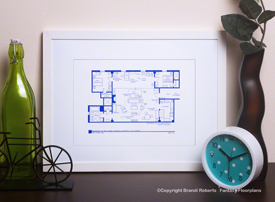 Buy a poster of Ted Mosby's apartment floor plan from How I Met Your Mother! My How I Met Your Mother apartment floor plan for Ted Mosby and Marshall's NYC diggs feature two small bedrooms, kitchen, large living area and one bath. 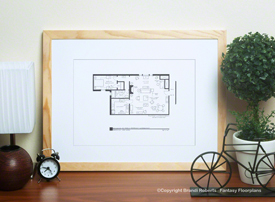 In my layout for their apartment you'll find familiar items including the cockamouse trap, Lily's painting easel and Ted's drafting table. 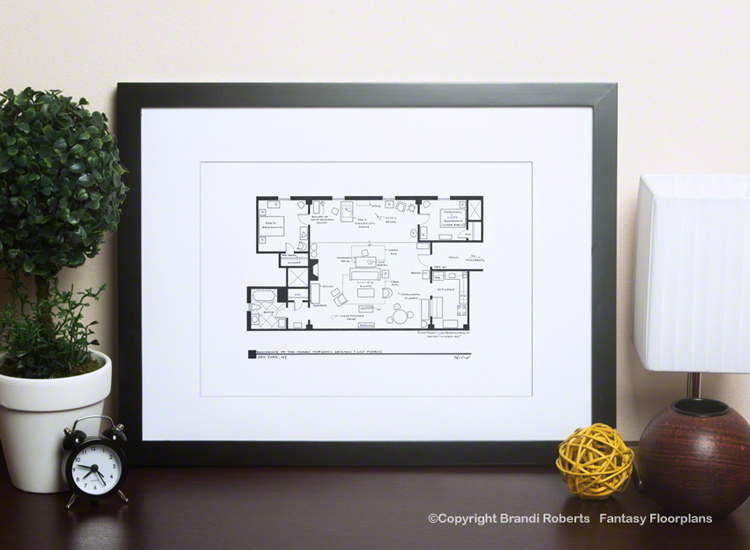 My How I Met Your Mother apartment floor plan is sure to delight anyone who loves the show! Check-out my imaginary floor plans for Lily and Marshall, Barney and Robin's apartments. 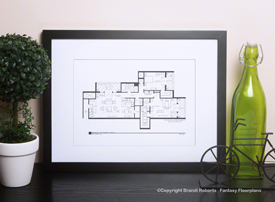 Also available is my set of all four apartments including Ted, Lily and Marshall, Robin and Barney. Put them together on a wall in your home or office and you'll have a conversation piece that'll spark comment from everyone!